Robin Gross is also a private attorney at Imagine Law, a boutique entertainment and cyberspace law firm in San Francisco’s Haight-Ashbury neighborhood. Ms. Gross represents emerging artists, entrepreneurs, and innovative companies with their transactional intellectual property rights and business legal matters. Ms. Gross was elected to Chair the ICANN’s Non-Commercial Users Constituency (NCUC) from 2008-2010 and previously served four years as NCUC’s North American Representative on ICANN’s GNSO Council. Ms. 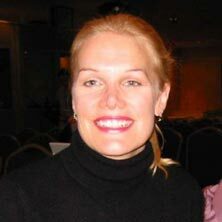 Gross is a member of the Advisory Board for the Public Interest Registry. Ms. Gross was an appointed a member of the UN Multi-stakeholder Advisory Group (MAG) for the Internet Governance Forum (IGF) for its first three years. She serves on the Executive Committee of FreeMuse, an international human rights organization which fights music censorship worldwide and is based in Copenhagen. Ms. Gross is a member of the Board of Directors for the Union for the Public Domain and the Advisory Board for Computer Professionals for Social Responsibility-Peru. 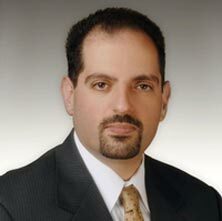 Allonn Levy is a litigator focusing on complex business litigation, technology law, intellectual property and appeals. He has actively participated in numerous high-stakes, high-profile technology cases involving patent infringement, digital rights management, cyber-jurisdiction, trade secrets and the Digital Millennium Copyright Act. Mr. Levy has handled numerous appeals and writ petitions before various State District Courts of Appeal, Federal Circuit Courts of Appeals, the California Supreme Court and the United States Supreme Court. In October 2011, Allonn completed a trial that yielded one of the largest verdicts ever to be handed down in that jurisdiction. Allonn is frequently invited to speak on issues of technology, DRM, the DMCA, and copyright law. These include appearances at Linux World – New York, DVDPro, the RSA Security Conference, and the 76th Annual Meeting of the State Bar of California. 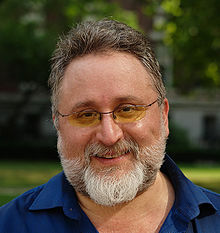 He has also frequently contributed articles and is a sought-after commentator on intellectual property issues in major national and international publications including PC World, e-Week, Internet Daily, the San Francisco Chronicle, the San Jose Mercury News, the Washington Post, the New York Times, the San Francisco and L.A. Daily Journals, Copyright World, the Marker, and others. Allonn is an invited guest lecturer for Santa Clara University’s School of Law on issues of Civil Procedure, Trial, and Appellate Practice. Giovanni Ziccardi is Professor of Legal Informatics at the School of Law, University of Milan. A lawyer, he is Founder and Chairman of the Italian Cyberspace Law Conference, one of the most important European Conferences concerning cyberspace law. 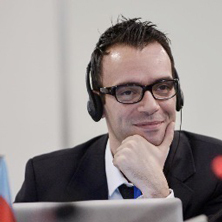 Professor Ziccardi is Editor-in-Chief of the International Scientific Review “Cyberspace and Law” and a Member of the Scientific Committee of AIGA Foundation (Italian Young Lawyers Association), and a former arbiter for e-Resolution. Before teaching law at the University of Milan, Professor Ziccardi spent seven years conducting research at the Research Centre of History of Law, Philosophy and Sociology of Law and Computer Science and Law (CIRFID) at the University of Bologna. Issues studied during these seven years were civil rights in the Internet era, computer crimes, information security, open source and free software, computer and network forensics, and cryptography. The research was developed under the supervision of Professor Enrico Pattaro, former Director of the Center. In addition to lecturing as a guest speaker at various universities and symposiums, he writes regularly on cyberlaw issues, such as digital copyright, civil rights in cyberspace, cryptography and law, and computer crimes in national and international publications. Ziccardi has written five books (concerning cryptography and law, copyright, domain names issues, internet and law) and more than 30 papers (included two papers published in Japan Law Reviews). He is admitted to practice before the Italian courts. 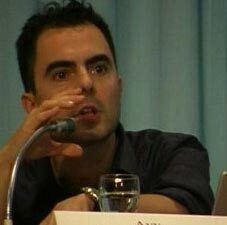 Ziccardi is a graduate of Modena University and holds a Ph.d in Legal Informatics from University of Bologna. Dr. Martin Spirig works for a top-tier management consulting firm in Singapore with mandates throughout entire South East Asia. Previously, he was an IT Project Manager at Migros, Switzerland’s largest retail group. Within the headquarters in Zurich, he was also the advisory board’s president, in which role he voiced the interests of the employees to the senior management. During and right after his studies in Switzerland, he worked as an academic assistant at University of St. Gallen and as a legal collaborator in a law firm in Zurich, respectively. Martin holds an MBA from INSEAD in France/Singapore. He also received a doctorate in law from University of St. Gallen. 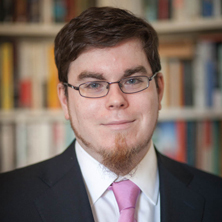 His thesis, published in 2001, proposes to apply the economic theory to unfair competition disputes in the internet. A lot of inspiration stemmed from Martin’s one year visiting scholar stay at University of California at Berkeley. Ross Nakasone is the California Policy Organizer with the Blue Green Alliance which unites America’s largest labor unions and its most influential environmental organizations to identify ways today’s environmental challenges can create and maintain quality jobs and build a stronger, fairer economy. Previously Mr. Nakasone was the Sustainable Housing Policy Manager for the California Housing Partnership Corporation, where he lead policy efforts to increase energy efficiency resources for low income multifamily rental housing including passage of AB 1124 (Skinner, 2012). Ross has also served as the Legislative Coordinator and Director for San Mateo County for over six years working on a variety of subject areas. Mr. Nakasone holds a law degree from Santa Clara University School of Law and a B.A. from U.C. Davis with a double major in Art Studio and Art History and double minors in Education and Asian American Studies. He is a member of the State Bars in both California and Hawaii, and he resides in San Francisco. Mr. James Gannon is Security and Privacy Practice Lead at Cyber Invasion Ltd, a Security and Risk management consultancy based in Dublin, Ireland. His commercial clients include Fortune 500 companies in Dublin and Los Angeles. He works extensively with non-profits and at risk charities to educate their employees and staff on the ground in the areas of secure communication technologies and operational security matters. Coming from an engineering background he quickly found his calling working to secure companies operating in the medial and biotech spaces. He has worked extensively with startups based in the US to build security and privacy programs from the ground up. He has extensive background working with regulators including the FDA, IMB and various European medical authorities to bring security to the processes and devices that are used to save lives and help prevent suffering across the world. Mr. Gannon serves on the advisory board to ENISA (European Network and Information Security Agency) specializing in the areas of medical device security and industrial control systems and high end manufacturing systems security. Professor of Law and Legal History at Columbia University Law School. Professor Moglen has represented many of the world’s leading free software developers. Professor Moglen earned his PhD in History and law degree at Yale University during what he sometimes calls his “long, dark period” in New Haven. After law school he clerked for Judge Edward Weinfeld of the United States District Court in New York City and for Justice Thurgood Marshall of the United States Supreme Court. 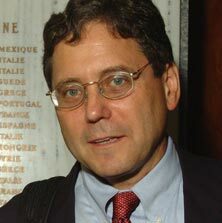 He has taught at Columbia Law School since 1987 and has held visiting appointments at Harvard University, Tel Aviv University and the University of Virginia. In 2003 he was given the Electronic Frontier Foundation’s Pioneer Award for efforts on behalf of freedom in the electronic society. 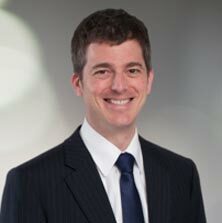 Professor Moglen is admitted to practice in the State of New York and before the United States Supreme Court. Mr. Love is the Director of Knowledge Ecology International (KEI). Mr. Love is also the U.S. co-chair of the Trans-Atlantic Consumer Dialogue (TACD) Intellectual Property Policy Committee. He advises UN agencies, national governments, international and regional intergovernmental organizations and public health NGOs, and is the author of a number of articles and monographs on innovation and intellectual property rights. In 2006, Knowledge Ecology International received a MacArthur Award for Creative and Effective Institutions. In 2013, Love received the EFF Pioneer Award, to recognize leaders who extend freedom and innovation in the realm of information technology. Knowledge Ecology International was created in 2006 as a separate entity to carry out work earlier done through the Center for Study of Responsive Law and Essential Information.